GyroGlove is an innovative glove developed by GyroGear that mechanically stabilises hands for people living with Parkinson’s. The international team is made up of designers, engineers and medics. 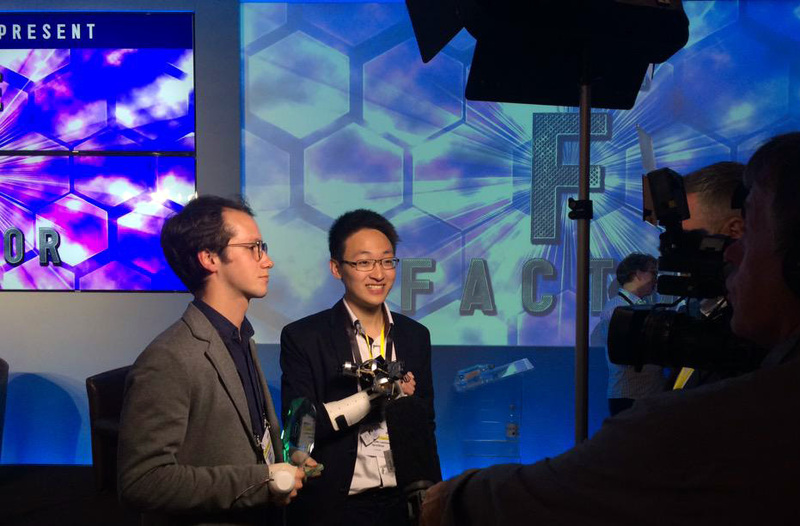 Their GyroGlove design won a £10,000 award from the inaugural F Factor – a competition launched by X Factor judge Simon Cowell and the Founders Forum to discover the next generation of technology entrepreneurs. 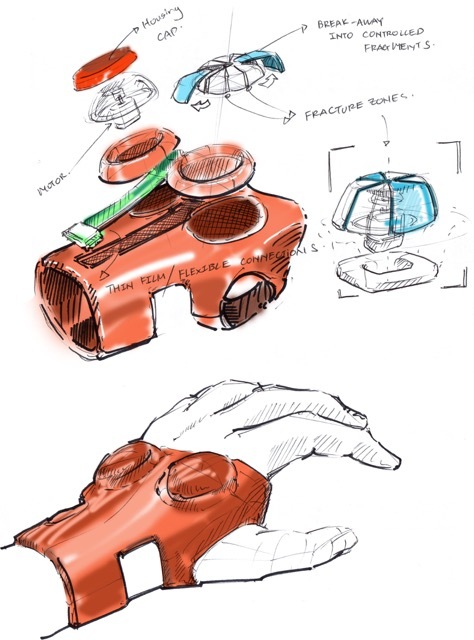 A team of students from Imperial College London are hoping their tremor-reducing glove called GyroGlove will transform the everyday lives of millions around the world living with Parkinson’s. After winning £10,000 from the inaugural F Factor – an award launched by X Factor judge Simon Cowell and the Founders Forum – they are ready to make their concept a reality. Here, founder Faii Ong, 26, speaks about the device’s potential to give people with Parkinson’s a helping hand. Why did you decide to create the GyroGlove? Is there any personal connection to Parkinson’s? It all began when I met a 103-year-old lady in hospital, who was under the care of our medical firm. This patient of ours was getting thinner by the day. One day, I saw her at lunch after she had tried to eat a bowl of soup. Unfortunately, everything had gone down her front due to her shaky hands, and I spent the next half an hour tidying her up. When I asked the nurses why they did not do anything, they explained that that lady had bad hand tremors, suffered from Alzheimer’s, and forgot faces and names in five minutes. Moreover, the patient’s medications had stopped working – she was “always like that and there’s nothing we can do”. 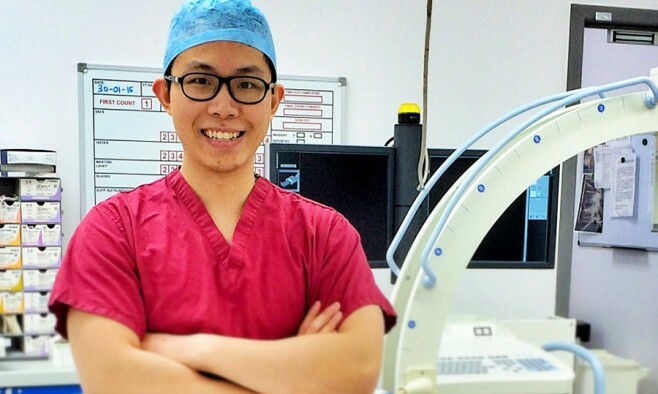 As a trainee doctor, if I truly cared about my patients, I promised myself to do something about it. How does the GyroGlove work? The glove uses gyroscopes. Spinning tops are a good example of gyroscopes, which keep themselves upright via spinning. Similarly, we take discs and spin them faster than a jet engine, coupling them to the hand. The spinning discs resist movement, with an overall effect that feels like moving your hand through viscous treacle. It thus allows for movement, whilst stabilising tremors. The GyroGlove uses intelligent electronics to track the progress of the disease, displaying the information on a smartphone. We intend for this to offer patients, families, carers and doctors unprecedented insight into the disease. What is it about the glove that makes it stand out? It is the simplicity of the device. The GyroGlove is easy to use, reliable and compact. As wearable technology, we seek to bridge the gap between medical treatment, which suffers from side effects, and deep brain stimulation, an invasive and exceedingly costly type of brain surgery. What was it like to win the F Factor? The entire team was exceedingly grateful and delighted to have been awarded inaugural champion. It was surreal to have Simon Cowell, and the world’s leading tech CEOs appraise our project. The standing of the audience was immense, with attendees such as Eric Schmidt, the CEO of Google. As for our supporters, especially those with Parkinson’s and their families, the win validated the idea, the development effort and the immense support that they have selflessly offered. Our team did treat ourselves to a simple lunch, but went straight back to working on the GyroGlove. There is a still a lot more for us to do. Why do you think the judges liked GyroGlove so much? It was the elegance and simplicity of the device, coupled with its potential impact and real world application. According to the judges, they believed our team would go the furthest with the prize money. For context, we have only been developing the prototype for the last six months. We have spent only £2,000 on the development on our multiple prototypes, while many experienced advisors expected us to have spent tens, if not hundreds of thousands, by this stage. How can it help improve the quality of life of people with Parkinson’s? Our core objective is to restore quality of life via control of the hand and affected limbs. For instance, by stabilising the hand, we enable an immense range of function that is often taken for granted. From eating to writing, to cooking to inserting a key into a door, to retrieving coins to pay for groceries. What is the potential medical impact on lives? There are up to 20 million people globally living with Parkinson’s disease – and 200 million with essential tremor. If GyroGear is able to better the lives of these individuals, our technology can be scaled to many further applications, including those outside healthcare. Wearable tech is becoming more and more popular – why is it the way to go for treatment of conditions like Parkinson’s? As mentioned, there is a gulf between medication and deep brain stimulation that we seek to address. However, it is critical that innovators today be careful not to develop technology simply for the sake of doing so. The person, and the value we can add to his life, has to be our ultimate focus. Together with its companion app, the GyroGlove provides not just a wearable solution but a data platform for both patients and users. Given that a patient typically spends only one hour in every year in contact with his doctor, there is a disproportionate amount of time that the patient manages in self-care. This highlights the growing need for the monitoring of the disease outside of the hospital, which wearables are apt to provide. So what’s next – and when can people expect the GyroGlove to be available? We’re currently integrating the various components into a singular unit. It’s looking promising! We’re aiming for release next year if all goes well, but cannot be more specific than that. What are your hopes for the future of GyroGlove? Once again, we hold dear the ability to help people and to have positive impact on lives. We seek relentlessly for the GyroGlove to achieve our core objective – to improve the quality of life and independence for people with hand tremors. The F Factor award was launched by the Founders Forum and X Factor judge Simon Cowell to discover and support a new generation of young entrepreneurs pushing the boundaries of technology.